It was invigorating to spend mid-April in Minneapolis, and not just because the temperature hovered around freezing most of the time. 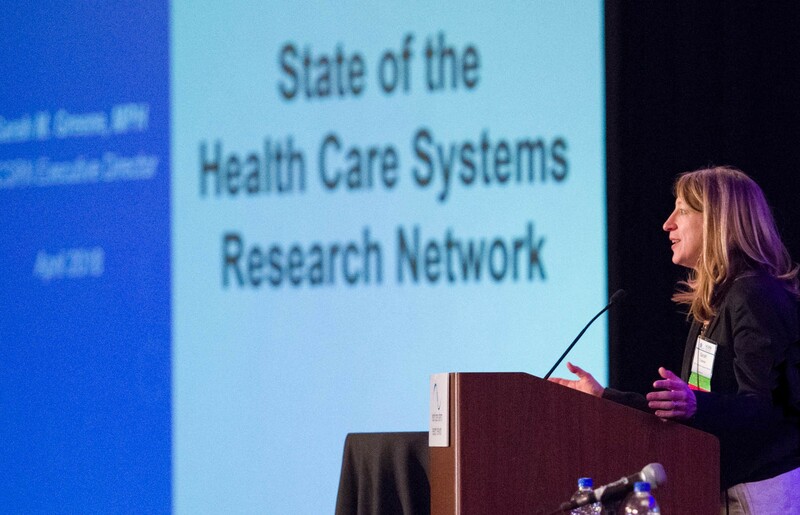 We welcomed 360 attendees to the Health Care Systems Research Network (HCSRN) Conference, and like last year, one-third of the attendees were joining us for the first time. It’s been more than 20 years since I attended my first HCSRN conference, and I’ve benefited from attending nearly every year since then. 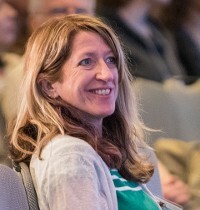 My role in the Network has changed dramatically in that time, but one thing has remained constant: Every year the conference sparks new ideas and pathways for moving learning health system research forward. I came away from this year’s conference inspired by several key ideas that emerged from our plenary sessions. The first can be described as the business case for the learning health system and embedded research. In our opening plenary, Dr. Michael McGinnis from the National Academy of Medicine laid out a strong economic imperative for high-quality research to improve outcomes and reduce costs. Consider that 18% of our Gross Domestic Product (GDP, a marker of economic viability), goes to health care, that the United States ranks 37th globally in overall health care quality, and that 30% of health care spending is wasted. All are sobering challenges. But Dr. McGinnis offered a thoughtful examination of how the U.S. health care system can apply the learning health system principles to counter them. He also observed that the HCSRN has contributed to essential advances — for example, the use of health data and robust digital infrastructure to accelerate research, and broad stakeholder engagement that includes health system leaders, operations, and patients. Good work, yes, but much more to do. It reminded me again why learning health system research is so important. Every day, our researchers help fill evidence gaps on vitally important topics such as the opioid crisis, precision medicine, care for people with multiple chronic conditions, and the structure and organization of care delivery, to name just a few. And across the HCSRN, we’re working with our health systems on dozens of pragmatic clinical trials that use real-world evidence to drive improvements in areas like cancer screening, depression care management, falls prevention, and opioid use disorders. Even when we have the evidence we need, disseminating it through “traditional” channels of journal publications or conference presentations is not enough. What tools can we use to give our research maximum impact? How can we ensure that our research questions and results are grounded in real-life experiences? Using stories and data to put a human face on our science was the third big idea I walked away with, thanks to The Arts Integrated Resources team from Kaiser Permanente Colorado. The group delivered a stirring workshop that combined both an emotional performance and a didactic exploration of how we, as researchers, can hone our storytelling skills. The team performed a short play on the impact of poverty and stigma in a health care context, and skillfully wove statistics into the play’s dialogue. While we may not all aspire to be playwrights, the workshop taught us to develop a story with an emotional hook that was then supported by available data. In small groups, we practiced our newfound skills with timely topics including vaccine hesitancy, the opioid epidemic, and palliative care. All of these topics have a substantial body of evidence, but have been stubbornly resistant to improvement. One participant in the workshop told his story of inadvertently infecting a family with pertussis when he was behind on his own vaccines, and the daughter in the family became seriously ill.
That emotional story provided a lived example that humanized the science behind the importance of vaccination. Coupled with data on herd immunity and pertussis death rates, it placed vaccine hesitancy in a whole new light for many of us. We were also fortunate to have three Minnesota State Public Health Commissioners engage in a lively discourse on the challenges of achieving true “population health” — a term that has many interpretations and applications. Each commissioner asserted that research can be especially beneficial in strengthening our understanding of how health inequities shape health outcomes, and provided insights about how evidence can be used to generate political will and a call to action for policymakers. Connecting the dots between our research and health care policy may be an under-developed muscle for some of us, so it was illuminating to think about our work through this lens. Taking the notion of connection even further, I’m reminded of the most important take-away from the yoga teacher training I completed last year: the essential human need for connection. The more I think about it, the more convinced I am that connection is fundamental to the learning health system. We are all connected, though the tether might seem thin or distant when we are doing the “mechanics” of research, like developing a budget, finalizing a protocol, or building partnerships with patients or health system leaders. The true learning occurs when we say, “Let’s figure this out together,” or “I’m not sure of the best way to do this” — which requires vulnerability, humility, and connection. Balancing the complexity of delivery system-based research with the simplicity of connecting with our fellow humans might just be the formula for lasting improvement.